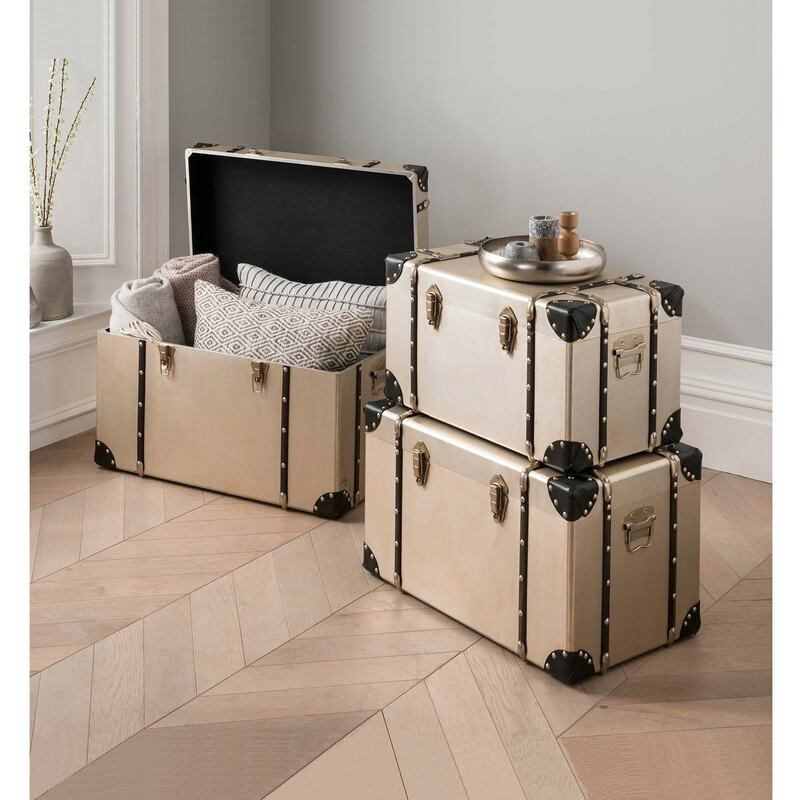 Here we have a beautiful set of 3 storage trunks made especially from Homesdirect365. A brand new item that has just came in store and we are outrageously proud of them. Attached or unattached you will not be disappointed on the outcome these trunks can bring to your home. Creating a warm and welcoming troposphere in any room. Storage and move items in style with these stunning aluminium storage boxes.